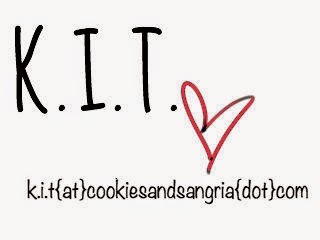 For partiers and the lackadaisical types, this week has been perfect so far. On Monday, many Americans stayed at home or enjoyed a good sale thanks to Presidents Day. On Tuesday, many folks reveled in New Orleans for Mardi Gras. Many kids have the entire week of for winter break, and hell, Mardi Gras is still alive and well. For those who need a quick reminder, Mardi Gras = Fat Tuesday, a celebration of everything in excess before you fast or give things up for Lent, the time period leading up to Easter. 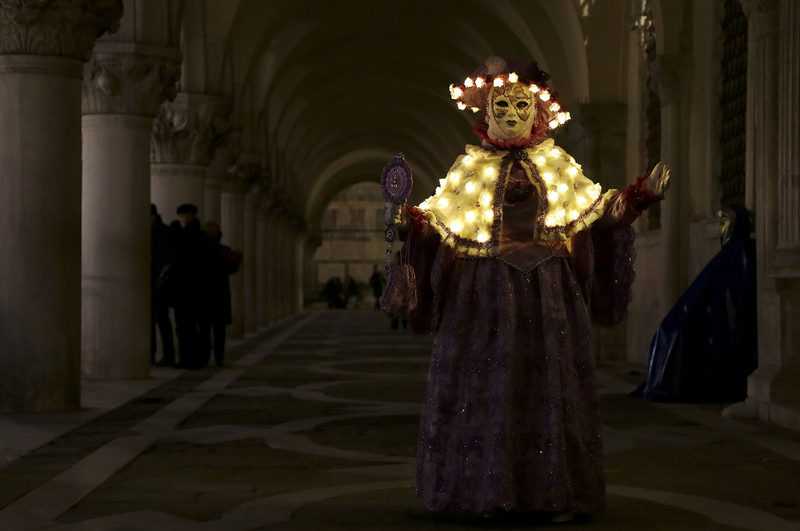 Now Mardi Gras is the biggest celebration in the U.S., but around the world, there are oh so many more extravagant parties. When I studied in the Netherlands, I happened to be in Nice, France during their weeklong version of Mardi Gras, which is Carnival. 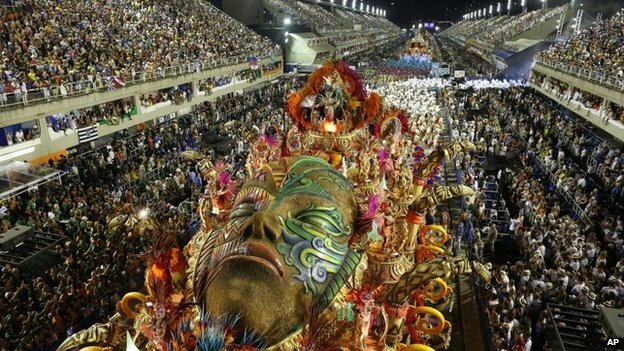 You probably relate the term to the biggest one in Rio, where I’m pretty convinced no one goes to work for like, a good month. 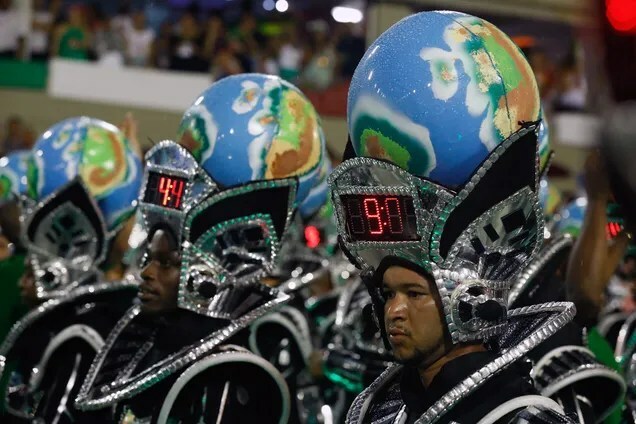 I had never experienced anything like it before – drinking, parades, people dancing in the street, just a lot of organized chaos and large bejeweled costumes. People do Carnival big overseas, and to be quite honest, some of the floats and masks and costumes are just plain weird. And scary. But mostly weird. While you’re sitting at work today, here are so people around the world that are actually having a better (yet odder) week than you. 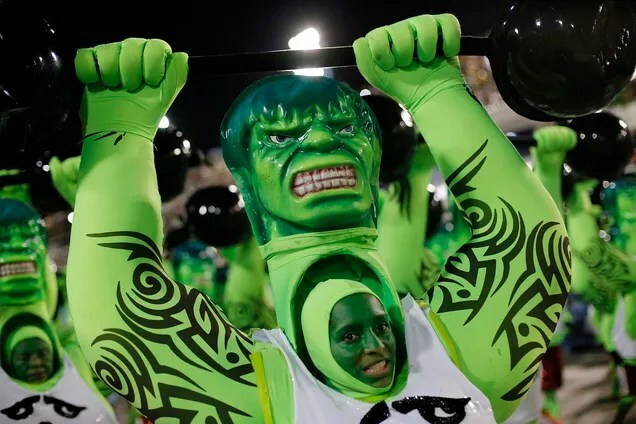 Rio – I feel like this is the version of the Hulk I would see if I was tripping on shrooms. Do kids still do that these days? Paraty – Outside of Rio, there are plenty more Carnival celebrations, and in Paraty, they have what’s called the “Bloco da Lama” or “Mud Block” carnival party. According to local legend, the off tradition of covering yourself in dark mud and dancing dates back to 1986 (exactly our year of birth), when teens who were hiking in a nearby forest slathered themselves in mud to ward off mosquitoes as they went through the town. The tradition has grown every since. IDK, you can go to the Korean Spa and get something like this without the danger of diseases or whatever is in dark mud. Cologne – Nothing says “I’m ready for Lent” like cut plastic watering cans with tiny disco balls and feathers attached to it. Munderkingen – My, what large nostrils you have scary clown man! Wuerzberg – For some reason I feel like this pink elephants got lost on their way to the pride parade. Mainz – Is this the episode of Walking Dead where the dude from Love Actually starts killing German zombies? Wuerzburg – Ich wanna Rock and Roll all night! Mainz – Vlad Putin. In a bear costume. 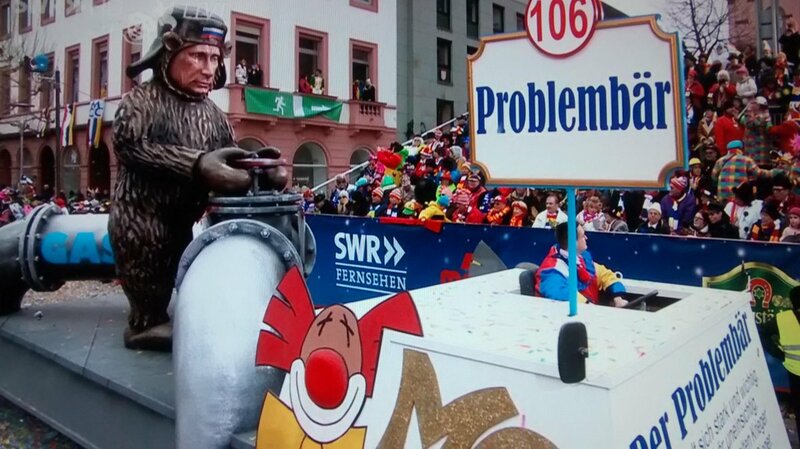 On a float that says “Problem Bear” … in GERMANY. Dusseldorf – Apparently the Germans like to incorporate a lot of political floats in their parades. Roermond – I just feel like people must be high 24/7 during Carnival week in order to just get through it. Venice – Never has Venice looked so much like the set of Pretty Little Liars. Luzon – In more frightening Carnival news, Luzon holds the La Fiesta de los Diablos y Mascaritas, or Festival of Devils and Masks. Clearly the dude with the horns represents the devils and the ladies are the masks. Couldn’t pay me enough to hang out with these people. Luzon – I mean come on. For Lent I would give up hanging out with anyone who dresses like Babe the Blue Ox’s long lost evil twin brother. Lesaka – Spain, seriously, what’s up with your Carnival traditions? In the small village of Lesaka, townspeople dress as the “Zaku Zaharrak”, or “Old Sack”. 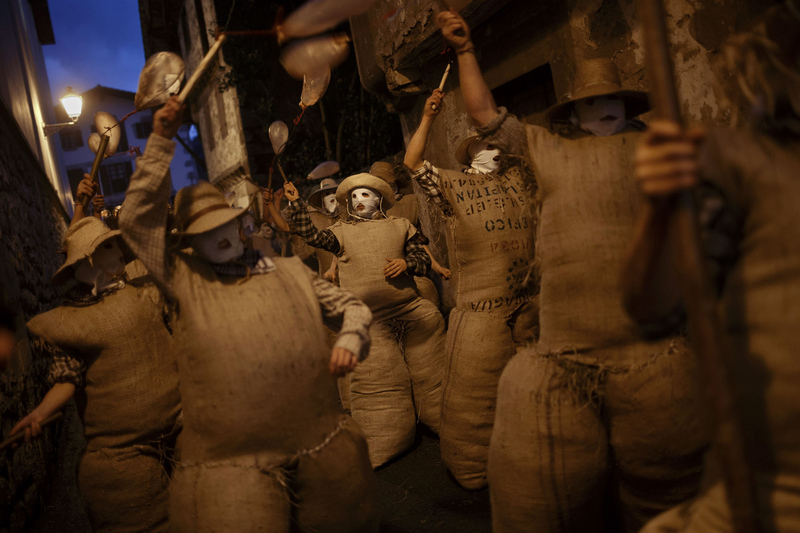 After the sun sets, they cover their faces with white handkerchiefs, stuff themselves with straws in sacks, hold a stick of an inflated animal’s bladder (which is used to hit people), and roam through the streets for hours dancing to an accompanied band. Hide yo kids. Hide yo wives. Lucerne – I’d like to call this series “Switzerland takes well-known children’s story characters and fucks it all up”. Here is Shrek and Princess Fiona, who is apparently being held at gunpoint. Lucerne – Antonio Banderas sure has changed since his split with Melanie Griffith. Lucerne – In which the Native American crying by the side of the road goes to see Dr. 90210 and has a botched face lift. Lucerne – Just kidding. THIS is the episode of The Walking Dead where the dude from Love Actually travels to Switzerland in the 1960s.